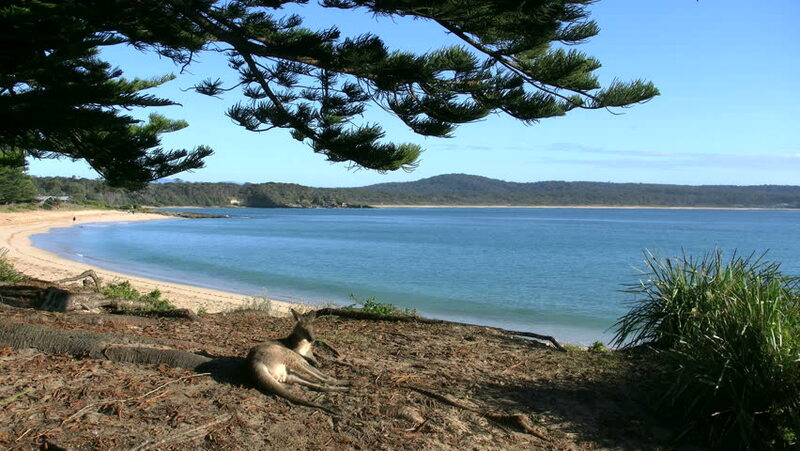 A kangaroo rests in a beautiful landscape. 4k00:08A kangaroo turns and hops. 4k00:24Platja d'Aro beach. Platja d'Aro is located in the heart of the Costa Brava, 80 km north of Barcelona. Catalonia, spain. 4k00:16Moffat Beach, Queensland, Australia - September 11, 2018: People enjoying a morning walk at Moffat Beach. hd00:30Slow ocean bay waves are hitting a yellow sand beach with many rocks on the shore and eucalyptus forest in the background under the grey cloudy sky.